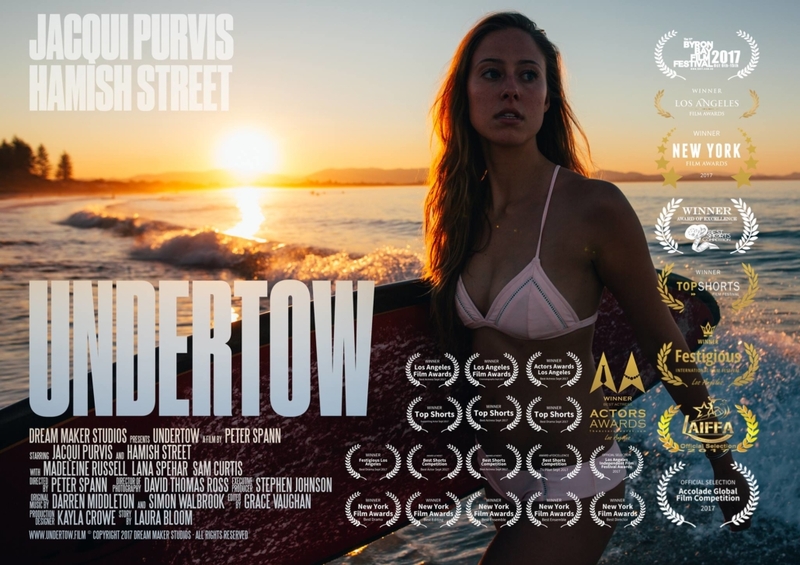 UNDERTOW is a multi-award winning Australian coming of age drama filmed in Byron Bay, NSW. Bella (Jacqui Purvis) is a surfer girl. All the things that captivate her friends – boys, clothes, tanning and partying don’t interest her. She lives for the perfect wave. But Bella has a dark past. One that almost destroyed her. One that she ran from. Today is her first day out of rehab and she just wants to get through it but she’s terrified to encounter the demons of her life. Bella needs to come to grips with her place in the world, her fears, and her relationships. UNDERTOW will be submitted to both the surf film festival circuit and other relevant festivals. It is visually stunning, superbly acted and has a storyline that packs a punch, belying its frothy title and seeking a heartfelt relevance to today’s surf culture. Principal production was completed in April 2017 and the film has received much acclaim in the festival circuit winning 24 separate awards by the end of 2017 including Best Film, Best Actors for Jacqui Purvis, Hamish Street and the Ensemble, Best Cinematography for David Thomas Ross, Best Editing for Grace Vaughan and Best Director for Peter Spann. Jacqui Purvis in the lead role of Bella, the Surfer Girl. 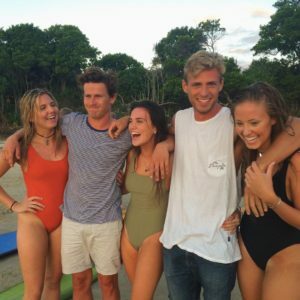 UNDERTOW cast, Lana Spehar (playing Maddie), Hamish Street (Jonny), Maddie Russell (Jess), Sam Curtis (Nate), Jacqui Purvis (Bella).